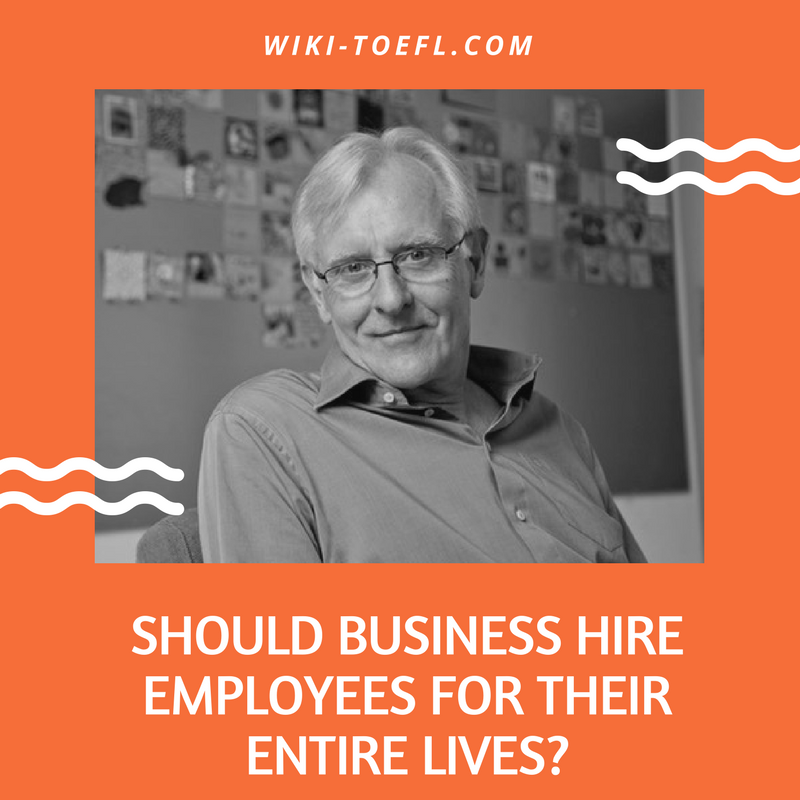 Home Writing	Do you agree that business should hire employees for their entire lives? In some business cultures, it is the practice to hire workers when they are young and employ them until they retire. In other business cultures companies hire people to do a job and then fire them when they are not needed. To me, the important considerations in today’s economy is job performance: speed and change. Loyalty is not a consideration. Today there is a lot of competition and we need to hire workers who can perform a task well. We need to find skilled workers who can do a job without a lot of training. We need to match the job to the worker, and, if the job changes, we change the worker. Because of this increased competition, we need to be able to produce our goods or services quickly. We need young people who are willing to put in long hours. We need young people who are aggressive and will push themselves to do their job faster. In order to compete, we have to be innovative. By changing our workforce frequently, we can bring in new ideas. We must constantly be looking for new ways to do new things. We need fresh workers with fresh points of view. Although a company’s loyalty to a worker and a workers loyalty to a company is a noble idea, it is not practical today. Skilled workers do not want to be tied down to one company; they want the flexibility to improve their opportunities. Change makes the economy powerful.